Place your feet shoulder-width apart. Bend at the knees while driving your hips back. Keep your chest up and your core tight. 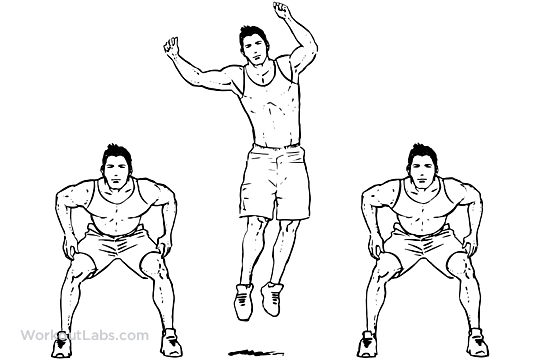 Remain in a squat stance as you forcefully push off the ground, jumping to the right side. Check your form then repeat, jumping to the other side.